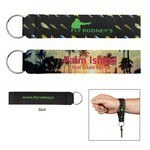 Who doesn't love a novelty key tag? No one, that's who. 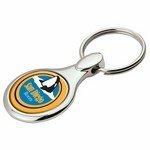 That's why we offer custom shaped keychains in a huge variety of styles, colors and shapes so that no matter what you do or who you serve, you can find custom company key tags that fit your business. 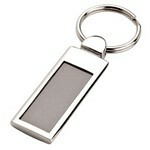 If you're a real estate agent or property management company, for instance, you might consider house shaped keyrings. Work for a bank or escrow company? 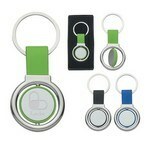 The distinctive look makes it easy to recognize your keys at the valet desk, gym locker room or lost-and-found basket. It has an attractive Chrome Finish. 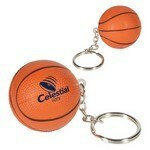 The Basketball Key Chain features durable polyurethane construction, Customizable with your brand logo. Our branded breast cancer awareness ribbon key tag is made of durable and flexible Soft-Touch Original vinyl and features a split ring for easy attachment. Our Neoprene Wristband With Key Ring features 3.5mm neoprene construction and allows inserting brand details for Brand Recognition. This custom diamond shaped key tag is made of durable, soft and flexible Soft-Touch Original vinyl and features a split ring for easy attachment. Polished finish puts a fabulous foot forward for anniversaries, client recognition occasions and new hire welcomes. 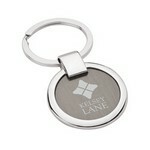 Strong ring grasps your keys with a secure hold. 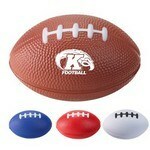 Our customizable football shaped stress ball features a single logo design and soft PU foam body. 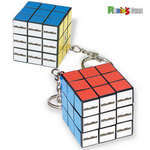 Get the micro Rubik's Cube Key Holder to safely assemble your keys. There is a standard Rubik’s cube attached to the key holder. Add cuteness to usefulness by putting your keys in the Mini Bear Key Chain. The bear and shirt come in the following colors: bear: brown, shirts: white, red, royal blue, navy, pink, forest green, black, or lime green.